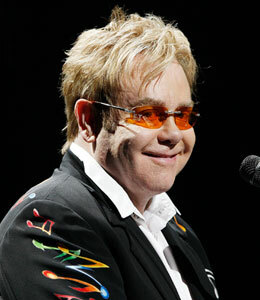 Superstar performer Elton John and partner David Furnish could be the next celebs to adopt. On Saturday, John told reporters in Ukraine he has long wanted to adopt a child but that he was reluctant until he visited an orphanage and met baby Lev. "David always wanted to adopt a child and I always said 'no' because I am 62 and I think because of the traveling I do and the life I have, maybe it wouldn't be fair for the child," John tells the AP. "But having seen Lev today, I would love to adopt him. I don't know how we do that but he has stolen my heart. And he has stolen David's heart and it would be wonderful if we can have a home. I've changed my mind today," he said. John and Furnish toured the orphanage where many of the children's parents have died from AIDS. The Grammy winner also performed for the children.